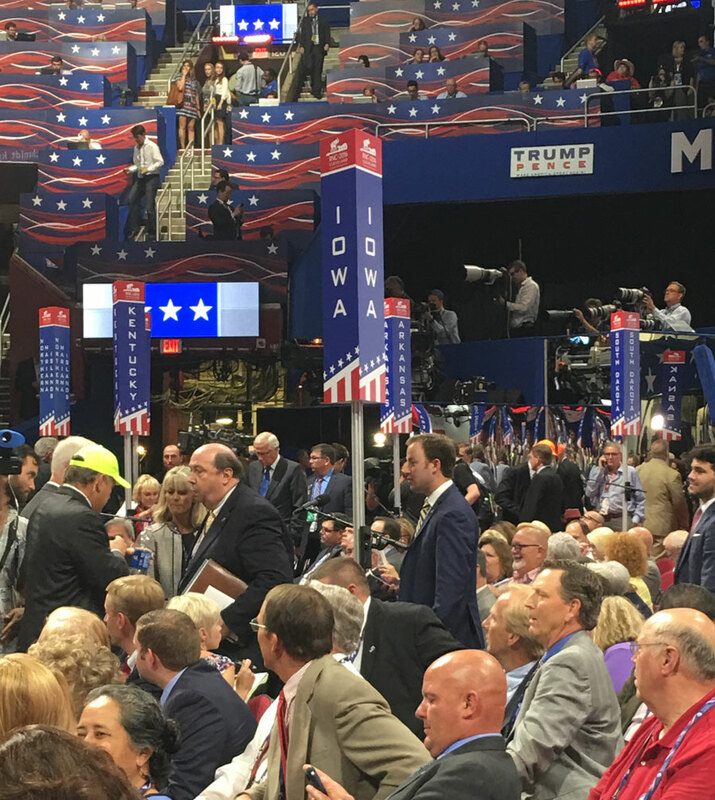 An Iowa delegate at the Republican National Convention has walked out in protest over what he calls the “strong arm tactics” of party leaders. Cecil Stinemetz of Urbandale was among the Ted Cruz backers pushing for convention votes to change some party rules. Iowa GOP officials say any time a delegate leaves the floor, it is “common practice” to replace them with an alternate. Stinemetz plans to drive back to Iowa soon, perhaps starting out tonight. “The Republican Party, if that’s how they want to be, if they don’t care about the votes of all the people, the grassroots — if they don’t care — I don’t care about the Republican Party,” Stinemetz said. Stinemetz said he’s done listening to “all that garbage” about party unity. Iowa Republican Party chairman Jeff Kaufmann appeared to acknowledge the looming controversy hours earlier when he greeted Iowa delegates over their breakfast this morning. “We’re going to have some serious moments. We’re going to have some moments of tension, I would imagine. It wouldn’t be a convention without it,” Kaufmann said. Kaufmann last week called the “Never Trump” movement “nonsense” that is supported by a “tiny little sliver” Republicans. Stinemetz and others had hoped to advance new party rules for the 2020 presidential campaign, penalizing states that hold “open” primaries and caucuses, allowing Democrats and independents to vote in the Republican presidential contest. Others objected to party rules they say are designed to keep secret the contact information of Republican National Committee members.